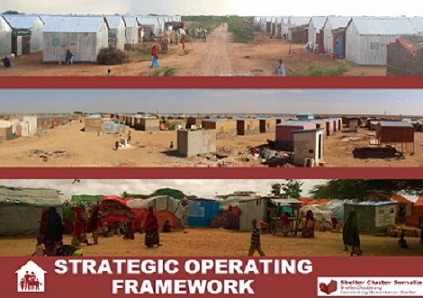 The Shelter Cluster (SC) Somalia consists of a National Shelter Cluster, Regional Shelter Clusters and thematic Working Groups. At the National level, the SC consists of a Secretariat, a Strategic Review Committee (SRC), and the Strategic Advisory Group (SAG). The Shelter Cluster uses a mailing list to ensure that specific information is shared with the respective persons. Please contact the Shelter Cluster through okal@unhcr.org to get on the mailing list.